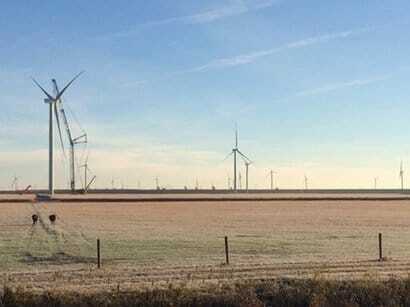 American Wind Energy Association CEO Tom Kiernan has explained to a congressional testimony that wind farms can now compete to provide essential electric reliability services. AWEA strongly agreed with other witnesses on the panel who endorsed market-based solutions in their submitted testimony, including the American Petroleum Institute, Solar Energy Industries Association, Energy Storage Association, Natural Resources Defence Council, National Hydropower Association, and others. However, AWEA is concerned that the Department of Energy’s recent proposal to provide payments to specific resources based on arbitrary requirements is anti-competitive, and threatens to undermine electricity markets that are bolstering reliability and saving consumers billions of dollars per year. Kiernan outlined several major policy recommendations in his testimony, including reliance on competitive markets that reward performance to ensure affordable and reliable electricity, a focus on reliability needs rather than generation sources and the promotion of transmission infrastructure investment to improve resilience and allow consumers greater access to all low-cost forms of energy.